The coolest Photobooth Ideas For Your 2018 Mehndi! 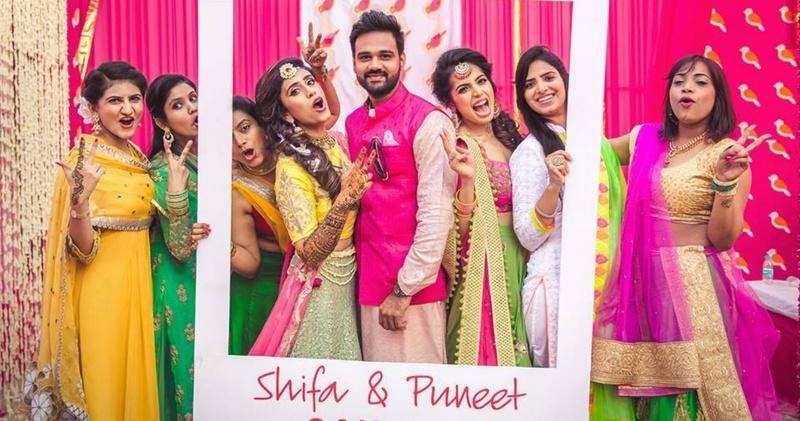 A photobooth at your mehndi is definitely a fun way of breaking the ice. A creative backdrop with some really cool signages and quirky props is all it takes to get your friends & family mingle & have a great time in front of the camera. The photos taken at the photobooth are the most awaited ones as most guests get their A-Game on while posing at the photobooth. So whether you are getting the photobooth set up by your decor team or DIY-ing it yourself, here are 20+ really creative & unique photobooth ideas to inspire you. Get scrolling! With our list of fun, quirky and eye-catching photobooth ideas coming to an end, we hope you have enough inspiration to put your own spin on things!